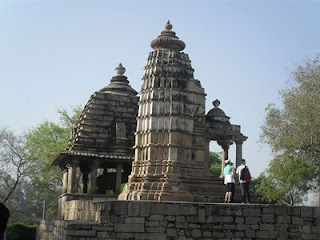 Indian land famous for relics of the glorious royal dynasties of old days in the form of palaces, forts and temples. Natural beauty also abounds, and there are lakes and mountains. So why should religion be far behind? Indeed, Pushkar celebrates Hinduism, and Varaha temple is one of the finest testaments to that. 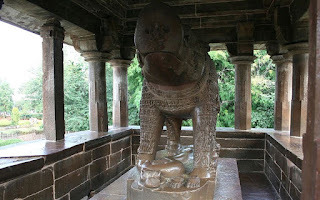 Here is some Fact about Varaha Temple in Pushkar Rajasthan India. Varaha Temple is located in Pushkar City Rajasthan India.The temple was built in 125th centuary and built by King Anaji Chauhan. The temple was destroyed by Emperor Aurangazeb but in 1727, it was reconstructed by Raja Sawai Jai Singh of Jaipur.It was then rebuilt in the 18th century by Raja Sawai Man Singh II.The temple is dedicated to Lord Vishnu.The temple houses the idol of Lord Varaha that is white in colour and has a hight of two feet.Various sculptures, elegant carvings, life-size statues of door men and gold-styled pillars depicting Garuda, the mythical bird are situated within the temple. Lord Varah is third in the Dashavatara, ten principal avatars of Vishnu. When the demon Hiranyaksha stole the earth (personified as the goddess Bhudevi) and hid her in the primordial waters, Vishnu appeared as Varaha to rescue her. Varaha slew the demon and retrieved the Earth from the ocean, lifting it on his tusks, and restored Bhudevi to her place in the universe. The material of construction of this temple has a strange quality to it that makes it appear a blackish white, unlike pure marble.Statistics say it is one of the most frequented temples in Pushkar by tourists.The boar is Vishnu’s third incarnate form.The back story consists of Vishnu killing a monster to benefit the goddess Bhudevi.